JUST WHEN YOU THINK YOU'VE SEEN IT ALL... CHECK THIS OUT!!! You will absolutely FALL IN LOVE with this CHARMING 2-STORY home with a BREATHTAKING VIEW of the WATER! 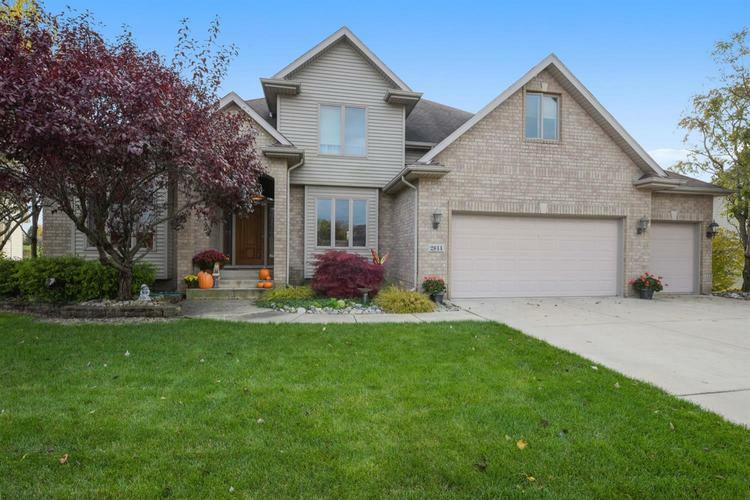 This home features a 3-CAR GARAGE, FINISHED WALK-OUT BASEMENT, and a GENEROUS AMOUNT OF SQUARE FOOTAGE without sacrificing the QUAINT, COZY ATMOSPHERE of the home. Let the aroma of home cooking from the SPACIOUS KITCHEN (feat. GRANITE COUNTER TOPS, CENTER ISLAND, SS APPLIANCES, AND A KITCHENETTE) permeate throughout the home. Gather around the FIREPLACE and enjoy a good read or cheer on your favorite team in the ENORMOUS LIVING ROOM with VAULTED CEILINGS and MASSIVE WINDOWS. The SWEEPING DECK and PATIO invite endless opportunity for outdoor entertainment. After a long day at work, reside to the MAIN LEVEL MASTER SUITE feat. RECESSED CEILINGS with MOOD LIGHTING, a PRIVATE BATH, FIREPLACE, WALK-IN CLOSET, and ADDITIONAL CLOSET SPACE. To top it off, this home is one of the very few that have WATER RIGHTS. CALL TODAY! Directions:41 to 85th. 85th to Alexander. North on Alexander to Jarret Drive. East on Jarret Drive, street forks take south to property on the right. Listing provided courtesy of JK Pro Realty, LLC.